The community center with pool, fitness center and water park anchor a community chock full of amenities. Community center with fitness center, spa and steam room, and a rock wall for climbing. Outdoor basketball and tennis courts. Outdoor swimming pool (for laps and leisure) and a play pool (think small water park, with short slides). Fireside has an extensive network of trails that lead into the Sonoran Desert Preserve. Fireside is within a short drive of three major shopping centers, with big box stores, specialty shops and restaurants. The closest: Happy Valley Towne Center and the Shops at Norterra. Grocery stores? There’s a Wal-Mart roughly 10 minutes to the south and a brand new (2017) Fry’s Marketplace equidistant in the other direction. A little farther away there’s a Safeway and an Albertsons. Fireside has its own K-8 public school and is served by Barry Goldwater High School in the DVUSD district. See more about public, charter and private schools near the community. See also test scores & enrollment figures. 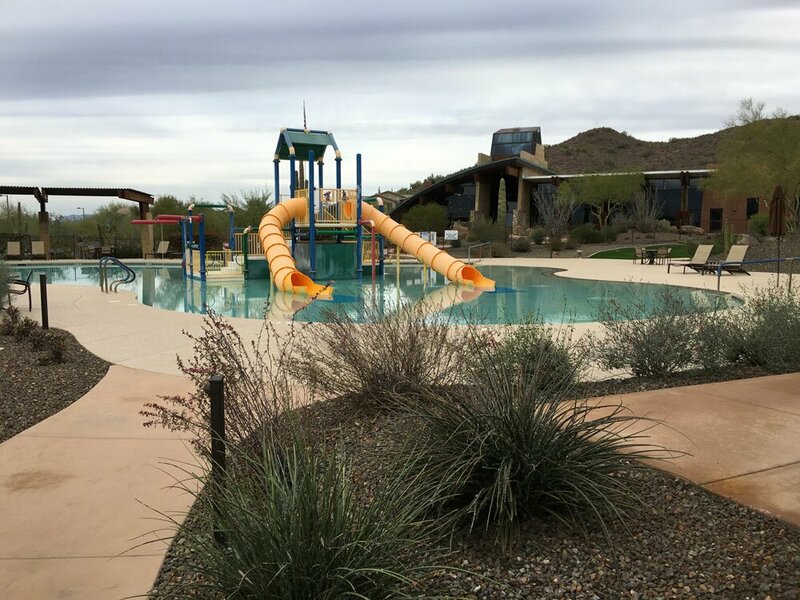 Fireside backs up against one of four regional parks in North Phoenix that offer endless opportunities for hiking, boating and other outdoor activities. Sky Harbor International Airport is a quick hop, less than 30 miles to the south. See our North Phoenix Map to find nearby amenities, attractions and services. Fireside provides a map of trails within the community and out into the Sonoran Preserve.